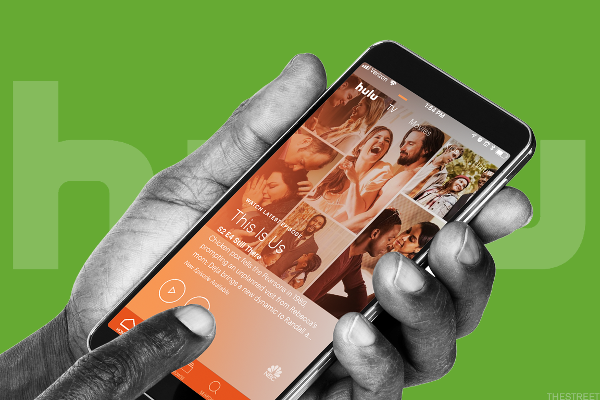 How Much Does Hulu Cost and What Are the Subscription Options? Equity markets rose Wednesday, though perhaps not for the most promising long-term reasons. In addition to 'Boo 2,' moviegoers can see thriller 'Snowman,' drama 'Only the Brave' and big-budget 'Geostorm' this weekend. The Wall Street Journal reported the pair have resumed merger talks. Don't let Netflix's huge quarter fool you, one analyst says. Twitter posts better-than-expected first-quarter earnings Wednesday and says its user growth advanced firmly in the period. If shareholders ever sour on these shares, things could get messy at the exits. Skeptical Senators will question the CEO's of AT&T and Time Warner today on Capitol Hill about their proposed $85 billion merger. This is new doctrine having to do with innovation and the stifling of innovation to create new products. Other content creators, such as Viacom, could also be in play, and see their stocks rise. Refinery29 is getting a $45 million investment from Turner, pocket change for Time Warner, but a compelling investment nonetheless. Twitter has a substantial Chinese base in spite of the Great Firewall, Verizon is reportedly pairing price hikes with more data and third-round Yahoo! bids are reportedly due today. The Netflix-Comcast deal is a sign of Netflix's streaming dominance. More agreements could follow. Warren Buffett, Reed Hastings, Mark Pincus, Earvin 'Magic' Johnson and Drew Houston are among the many business leaders who jumped on the Hillary Clinton bandwagon today. Consumer Reports' most recent survey of telecom service showed widespread disappointment with providers. Time Warner Cable (TWC) stock is fell after California regulators approved Charter Communications’ (CHTR) plans to acquire the company. Time Warner Cable (TWC) stock price target was increased at Deutsche Bank as the firm noted the company's Charter Communications merger. Time Warner was surging as the New York-based media company reported earnings that beat analysts' estimates on improved performance at its Turner television group. Disney and Fox look to streaming live content, while investors now know who's behind the creation of Bitcoin. Apple dominated market moves for the second day in a row. Stocks remain lower by mid-afternoon Thursday as worries over the U.S. economy overshadow better-than-expected earnings from industry giants. The second-largest U.S. cable operator adds residential customers for a second consecutive quarter, it says, as revenue and earnings top estimates. The tech-heavy Nasdaq drags broader markets into the green on Thursday morning after a strong earnings win from social network Facebook. Stock futures set up for losses on Thursday after U.S. growth slows to its worst level in two years. Time Warner Cable Inc. (NYSE:TWC) today reported financial results for its first quarter ended March 31, 2016. What's Ahead Thursday: Will Time Warner Cable Earnings Be in Focus? In 'What's Ahead on Wall Street' for Thursday, April 28, hundreds of companies will be reporting earnings, but these are the notable ones we're watching.